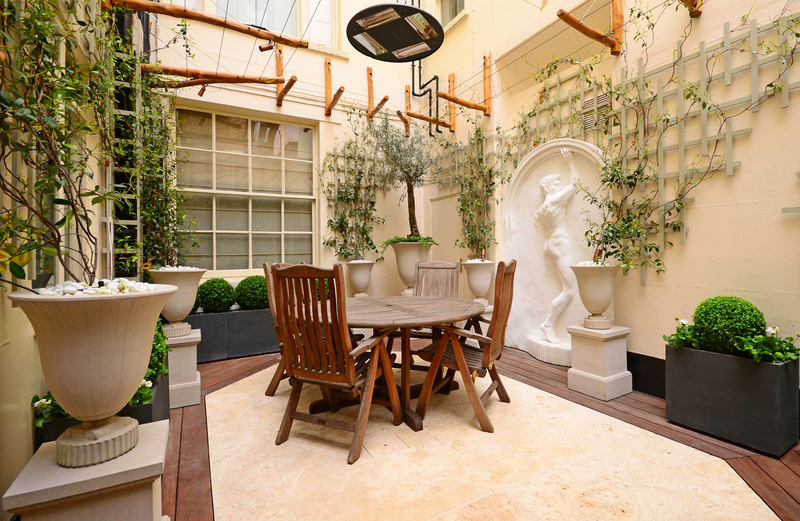 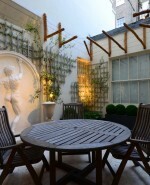 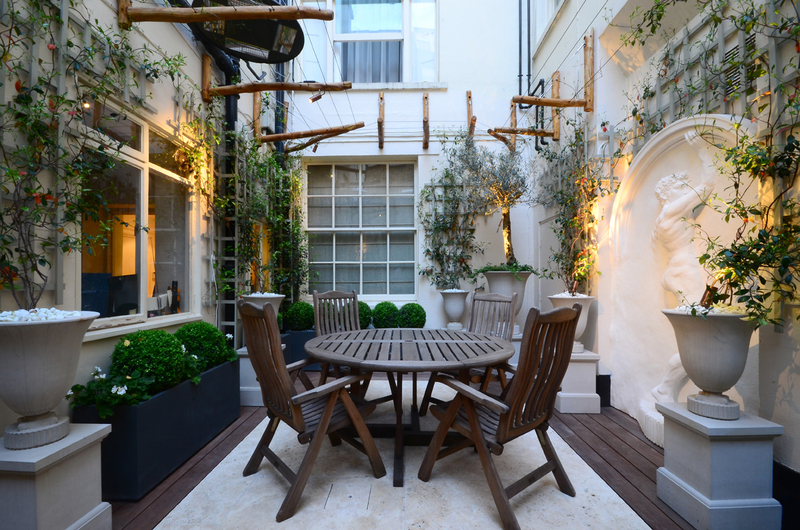 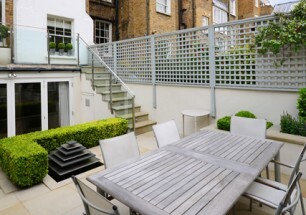 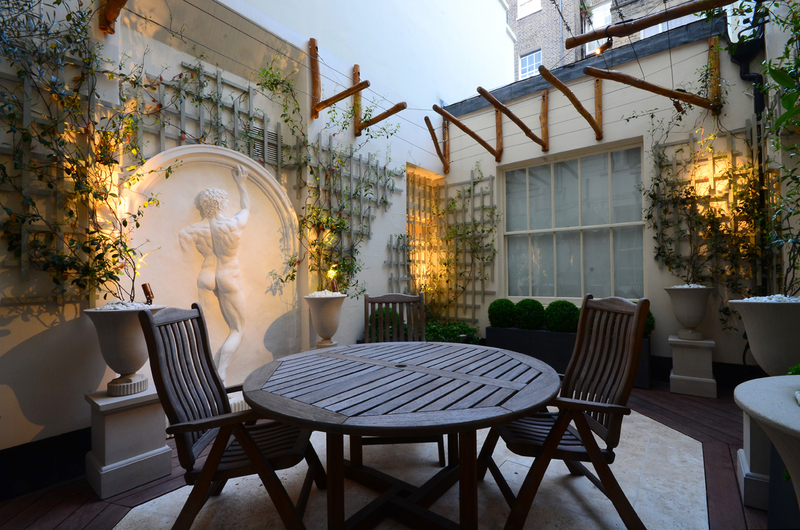 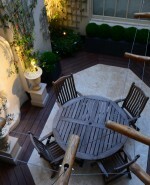 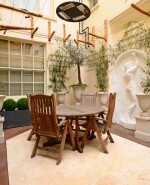 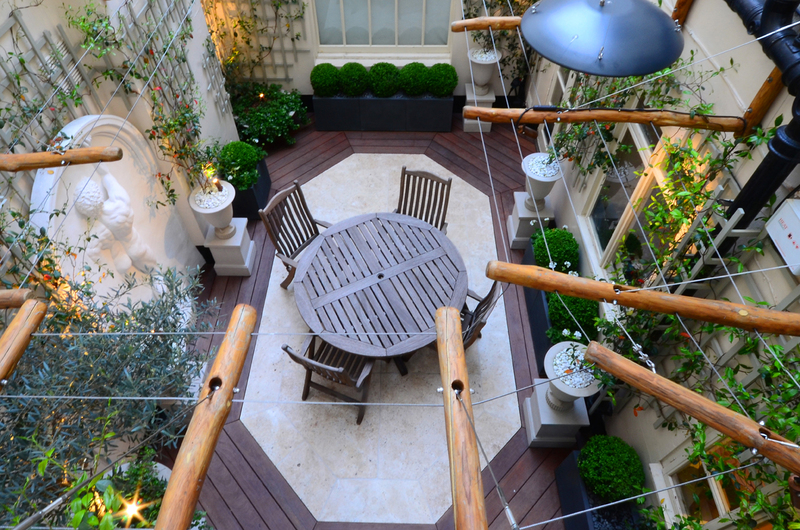 A basement courtyard at the centre of a large Pimlico townhouse that has undergone conversion into flats. 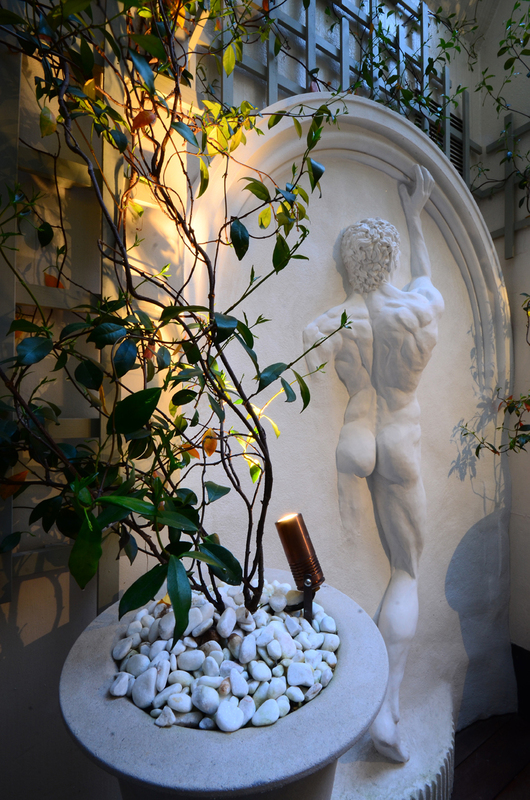 The client’s brief was to combine a mixture of modern and classic styles and transform the space into one of beauty and peace for relaxing in. 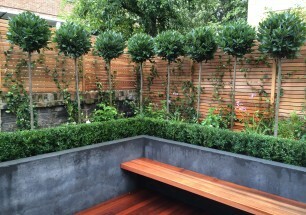 Sweet chestnut timber was hand-picked from the floor of a forest and combined with stainless-steel rigging to create a canopy for privacy and give support for climbing plants. 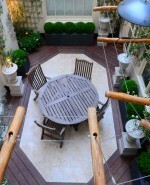 The floor of the courtyard has been paved and decked using travertine and hardwood in a layout that highlights the centre of the space and the seating area. 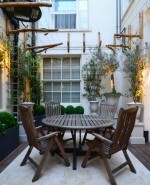 Individually made pieces of trellis are used to decorate the walls, train climbing plants along and mask ugly pipes and cables around the space. 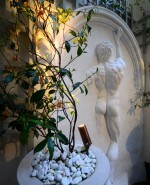 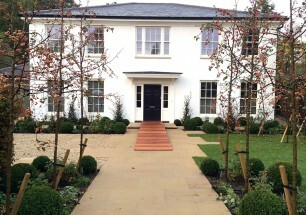 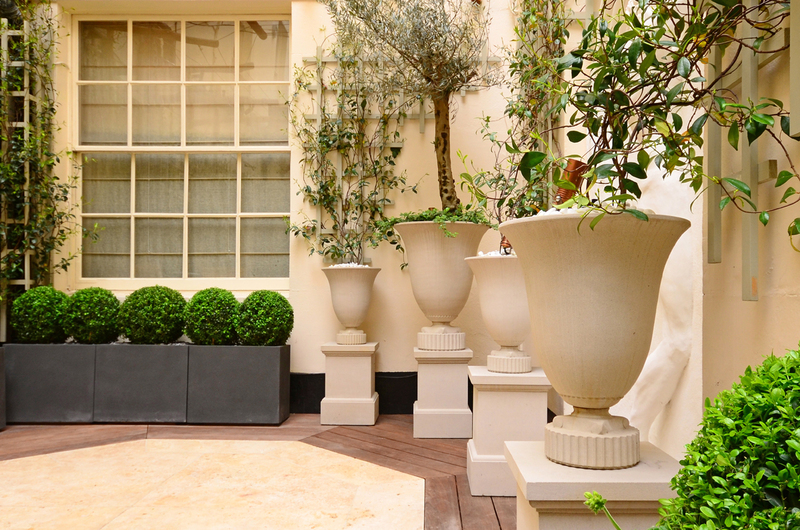 A combination of classical stone urns raised on pedestals and contemporary fibreglass cubes are planted with Buxus balls, climbers and an olive tree to give year- round foliage and texture. 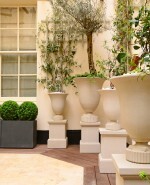 Flowering annual plants bring colour and creeping ivy spills over the rims of some planters. 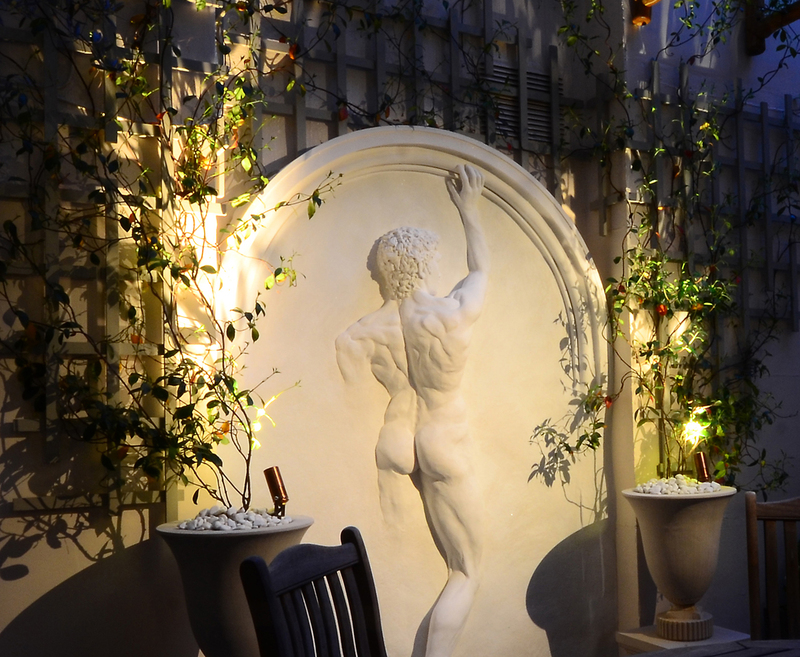 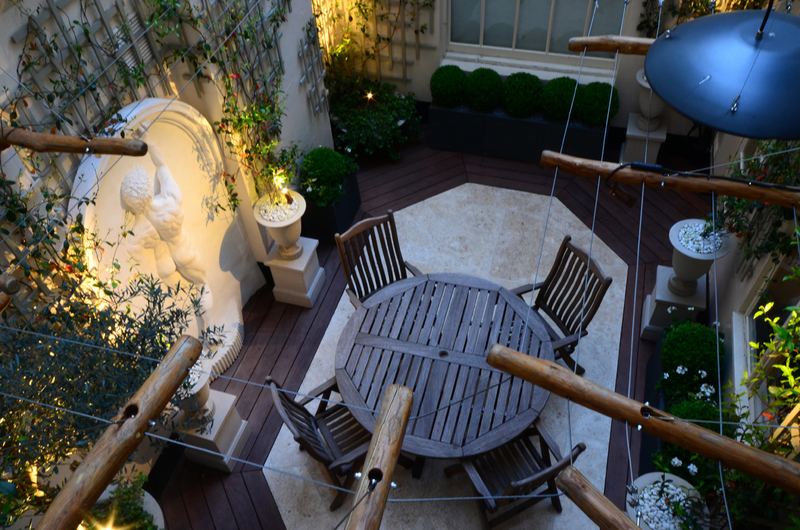 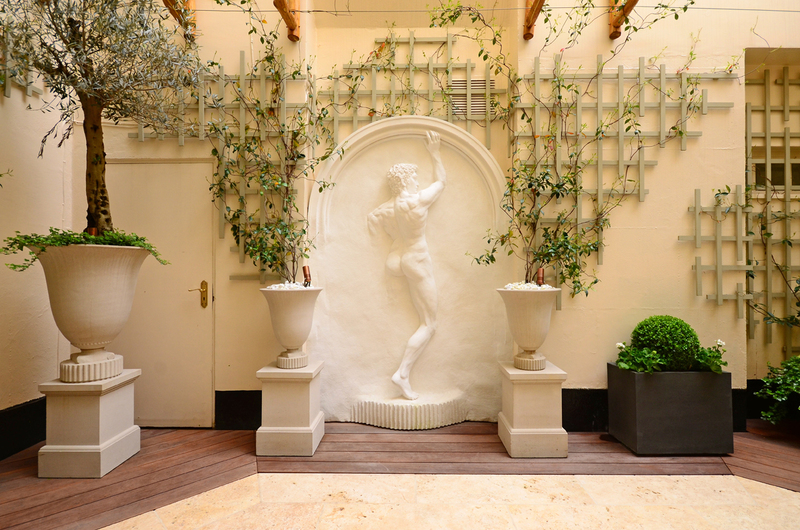 The 3D sculpture set into an alcove provides the courtyard with a stunning feature, while lighting and a suspended heater allow the courtyard to be enjoyed all year round during the day or night.